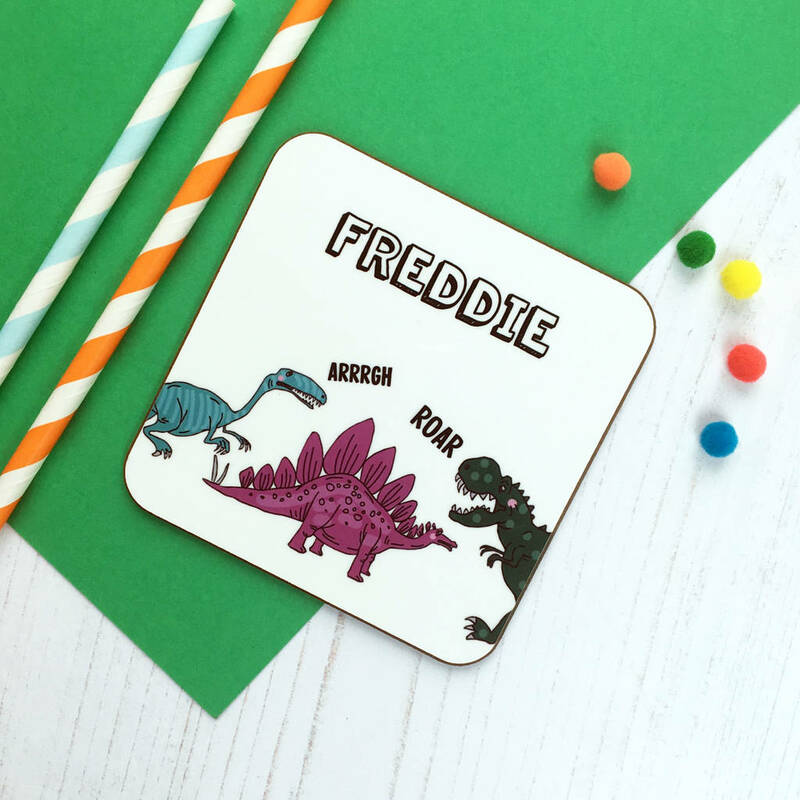 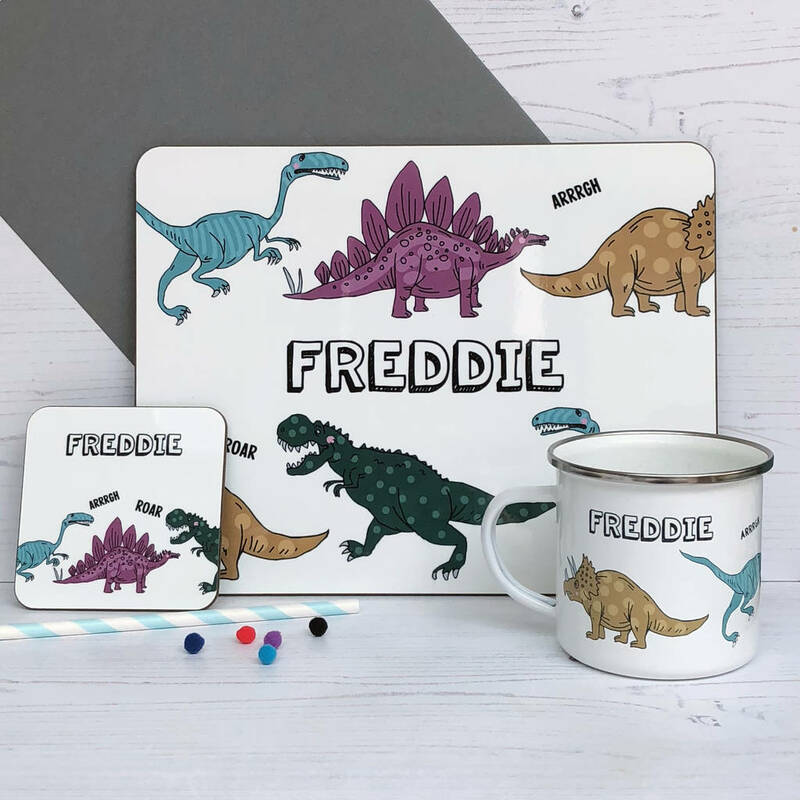 This personalised dinosaur placemat makes the perfect gift, featuring stunning dinosaur artwork and the name of your choice. 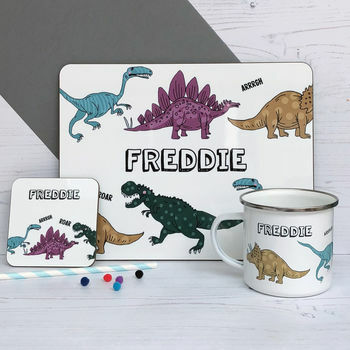 This placemat is totally roarsome and would delight any dinosaur fan! 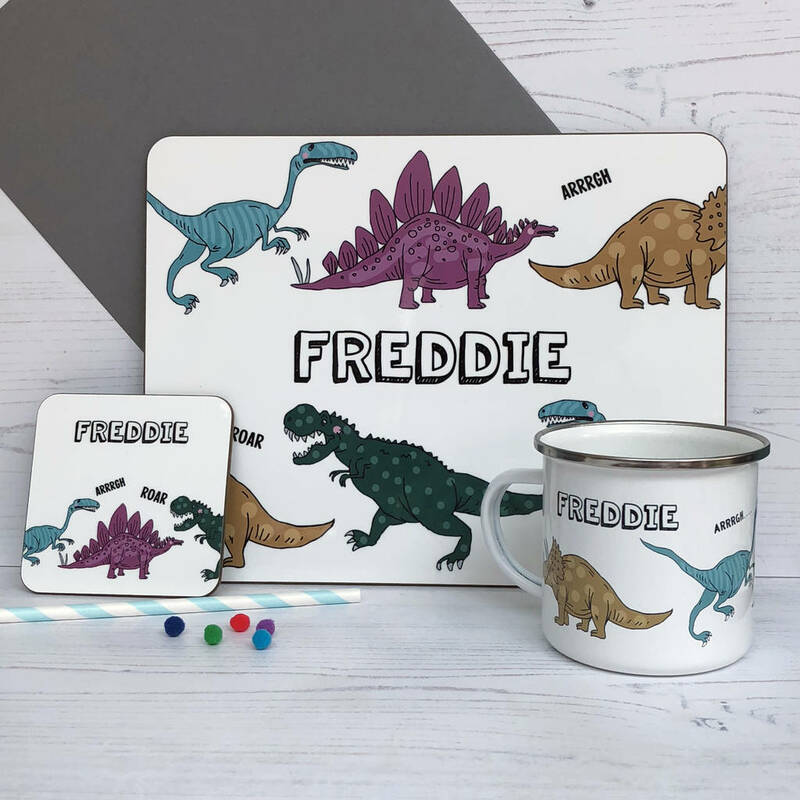 This product is dispatched to you by Hendog Designs.